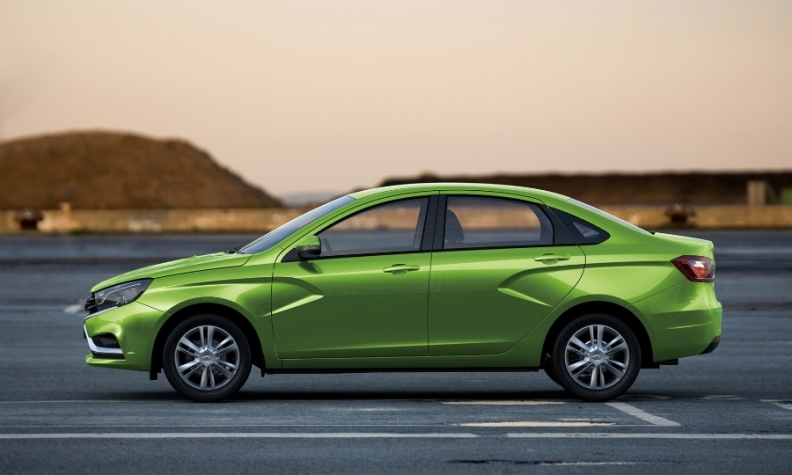 AvtoVAZ will export Lada vehicles including the Vesta sedan to Cuba. PARIS -- AvtoVAZ said it would resume exports of its Lada cars to Cuba, starting with a shipment of 344 Vesta sedans and Largus crossovers to be used as government taxis and tourism and rental vehicles. The new cars will arrive in Cuba in January, according to a statement from the Russian automaker, which is a subsidiary of Renault. Lada last exported cars to Cuba in 2005. The island's aging vehicle fleet is largely made up of cobbled-together American cars from the 1940s and 1950s, sold there before the revolution, and Soviet-era Ladas from the 1970s and 1980s. The sale of new cars has been tightly controlled under the Castro government, with buyers needing a special permit, but rules were relaxed in 2014. However, prices remain out of reach for most Cubans, and the car ownership rate is just 20 per 1,000 inhabitants. Renault's midterm strategic plan for Lada, approved at the end of 2016 as the French automaker consolidated Lada into its balance sheet, calls for increasing exports from 20,000 vehicles in 2016 to nearly 200,000 in 2026. Lada exports to 30 countries, with most sales in former Soviet states. It started selling cars in China and the UAE earlier this year. ''Cuba, among other Latin American countries, is one of our priority export markets," AvtoVAZ CEO Nicolas Maure said in the release. "We expect to further continue Lada deliveries to Cuba in the years to come with increased volumes." The compact Vesta was introduced in 2015 and was the third-best-selling model in Russia in October, according to industry association AEB. The Largus, which comes in five- and seven-seater versions, is based on the first-generation Dacia Logan and was No. 8 in the Russian market in October.